When the Nikon D7200 hit the shelves way back in 2015, it made some clear tweaks to its predecessor (no prizes for guessing that was the D7100). 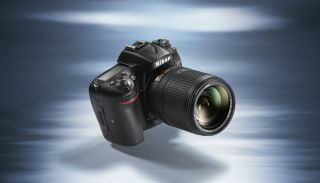 The result was a smash hit of a DSLR camera that still remains one of our favourite models for enthusiasts today. And because it's two years old, some of the D7200 deals you can now bag are absolute bargains! Reviews have described the shooter as 'reassuringly solid'. That description stands true today. The minute you get your hands on it, you can feel that your're handling an exceptional DSLR with the quality you'd expect from Nikon. Ideal for the enthusiast, but a reasonably priced step-up for amateurs wanting a feature-packed DSLR with excellent AF and a superb sensor. And because it's been some time since it made its debut, you can now pick up the D7200 for well-less than £1000. If you scroll down the page you can use our comparison chart to see where you can buy it for the least impact on your bank balance, after first taking a scan of our summarised review to make sure this is the DSLR for you.